Maiyas is one of the good restaurants in Bangalore for South Indian fare. 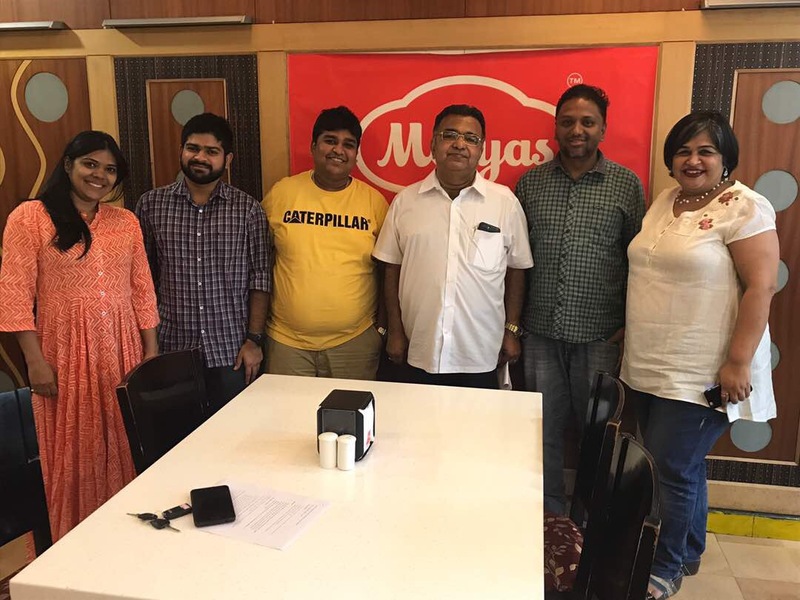 I am a frequent visitor to Maiyas from the day it was launched. The reason is completely because of the consistency factor with respect to taste and quality. It’s one of the popular landmarks in South Bangalore and hangout place for most of the people. The Maiyas restaurant might not be as old as other legendary restaurants in Bangalore. However, the person Mr. Sadananda Maiya, who is the founder of Maiyas is from a same family of MTR and he is the one who headed MTR Foods until it was sold to Orkla, a Norwegian company for $80 Million in March 2007. The terms of the sale restricted Mr. Maiya from competing in the same segment for five years. But for a man passionate with the business of serving food, it was only natural that he would start his second innings from where he had left off. 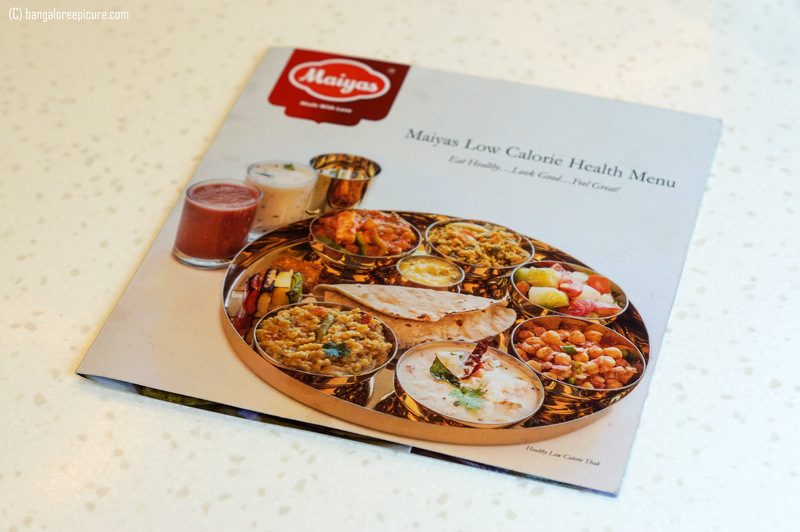 The Maiyas, a pure vegetarian restaurant spread over 4 floors & a take away counter is located in heart of South Bangalore. The place has casual interiors and minimalistic décor. But, they have given more importance on the Hygiene part, that’s one of the reasons for people to prefer Maiyas. The restaurant serves amazing Masala Dose, Rava Idly, Idly Vada Sambar and some of the South Indian Delicacies. Their Masala Dose is something which is out of the world. The Masala dosa will be medium thin and dark brown stuffed with Aloo Palya & Chutney. It just melts with the chutney accompanied with Dose. Believe me, it’s a must try dish if you are at Maiyas. Maiyas has gone extra mile and started creating awareness by introducing some of the Millets based dishes on the menu. Well, I would say it’s a great initiative from Ventures like Maiyas to come-up with the concept of using Millets for the Good Social Cause. In fact, Government of Karnataka is supporting every millets based venture with high attention. What did Maiyas Precisely do? Maiyas introduced Special Millets based Thali and some of the breakfast dishes which are made with of Millets. I was invited to experience the Millets based Thali which is priced at 150 INR, which is certainly steal. 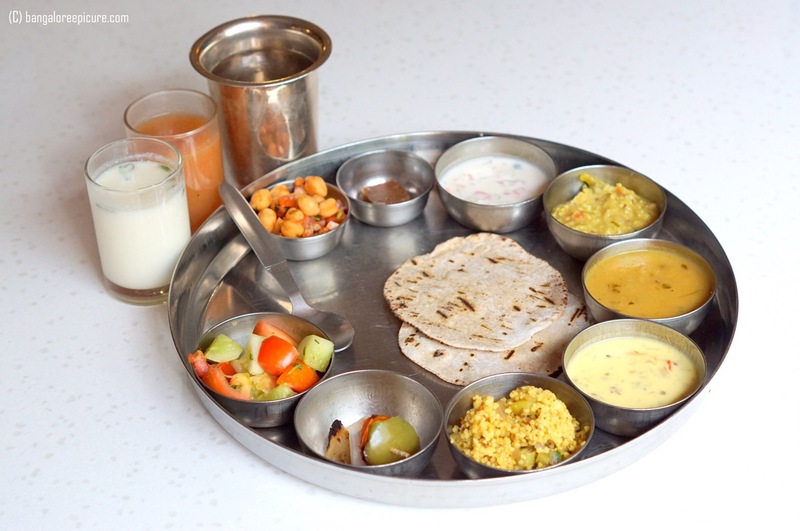 The Thali restricted to Rotti, Kichadi, Kadi, Pulao, Raitha, Salad, Cut Fruits, Channa, Sweet, Juice and Butter Milk. The Thali was designed with the guidance of Nutritionist and whole meal has 450 Calories, which is certainly good for everyone. Coming to the taste, all the dishes are outstanding without any concerns. I advise people to consume Rotti as soon as they serve or it may become harder. I am in love with the Pulao, as it tasted as good as the rice old school type Pulao which is available at Maiyas. Kichaddi with Kadi is slightly spicy and it’s the showstopper for the afternoon. Is the limited Meal sufficient? The Whole meal is certainly fill your stomach and don’t starve for next 6 hours. That’s one of the characteristics of Millets based dishes. 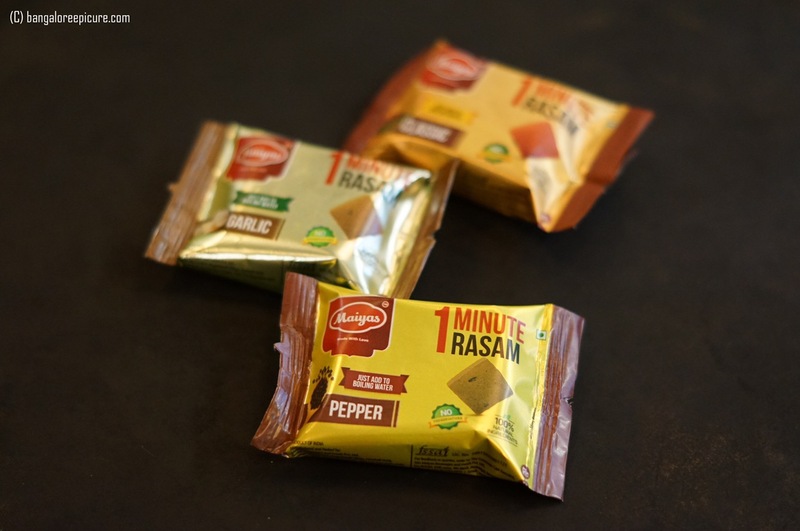 Also, we got an opportunity to try Rasam from 1 Minute Rasam Cubes; they are simply useful and apt for people who travel frequently and bachelors. I would suggest keeping some at home, which can be your life saver during sudden guest visits. Maiyas recently introduced Pepper & Garlic versions, which are even good. It was a great interaction with Mr. Sadananda Maiya during our visit. His knowledge about the food is vast. Looking forward for more products from house of Maiyas! Overall it was a great healthy lunch and strongly recommends this place. These Millet based dishes are available on Wednesday’s as part of the trail run. They might extend it to other days based on the demand. Price for 2: Depends on what cuisine you choose. However, it will not burn your pockets. Note: This article is completely based on my experience and not influenced by anyone though it was an invite from Venture. Copying content or taking the pictures without permission is not acceptable and leads to legal action.